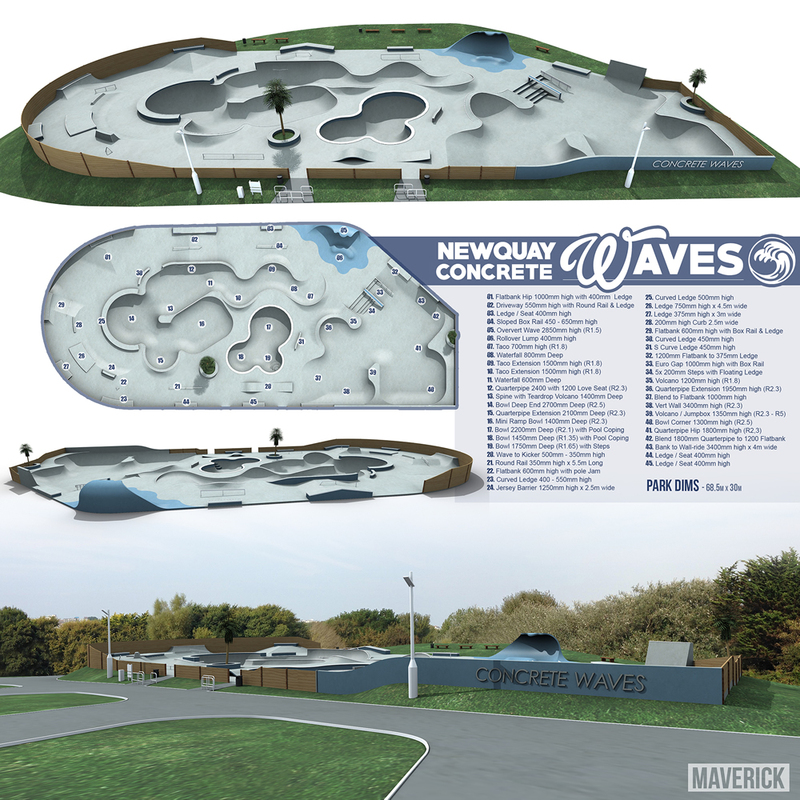 Maverick have been given the go-ahead to build the Concrete Waves Skatepark in Newquay, replacing the run down wooden waves park. The project has only just been given the green light by Newquay Council, so a timescale is yet to be published. 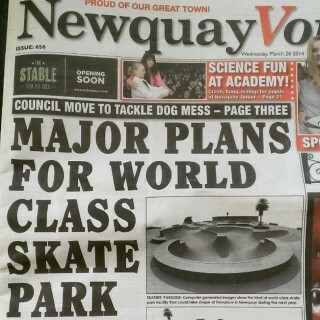 However this is a huge step forward for the project and a day local skaters have long been waiting for. 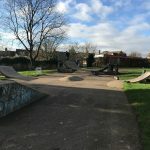 "The design for Newquay Skatepark has been drawn up to meet the needs of the local user group and serve as a facility for riders both nationally and internationally. 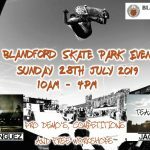 The facility has been carefully organised into four separate areas; an endless street run, multi-combination snakerun bowl, retro-style amoeba pool, and BMX flowpark. 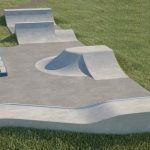 The idea behind the facility is that all the routes around the skatepark link up to form an enormous flowpark. We are beyond stoked that Newquay Council have chosen us to build the park - There's still a lot of fundraising to do and contracts to sign before we can spray any crete, but we can't wait to get stuck in!" 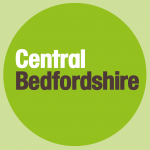 With a lot of fundraising still needed, now is the time for the local community to pull together and make the park a reality.